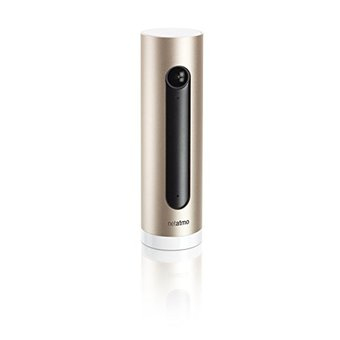 Netatmo Welcome - kamera med ansiktsigenkänning! Welcome sends the names of the people it sees directly to your smartphone. Be notified when your children or elderly parents are home. The camera also alerts you when it sees a stranger. Disable video recordings or notifications for individual people, such as your adolescent or partner. Videos and identification data stay entirely private thanks to Welcome’s local SD card storage. A screenshot of each event is stored for free in the cloud. Place the camera indoors, facing your entrance, plug it in and download the App. Identify your loved ones with a simple click. There is no subscription, no fee, no contract.